It’s no secret that the passage of time takes a toll on your health, especially when it comes to the musculoskeletal system. 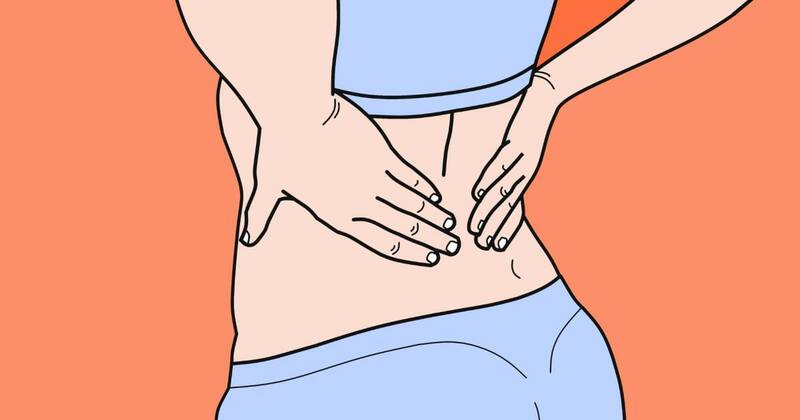 Your joints start to give out, and your back hurts a lot more often than it used. While this might be unpleasant, it is also a normal part of life. One of the most common issues in this category is degenerative disc disease (DDD). As you may already know by now, your spine is made from bones called vertebrae. In between each pair, there is a spongy disc that absorbs shock and increases resistance. Unfortunately, a common consequence of DDD is disc desiccation. Here is everything you need to know about what its symptoms are, as well as what causes it and how you can treat it. As mentioned above, disc desiccation and the larger context of degenerative disc disease are usually triggered by the natural wear and tear your spine suffers as you age. However, the process can also be sped up by some external factors. The most common one is trauma. This can happen as the result of a sports injury, a fall, or an accident. What is more, if your profession involves plenty of heavy object lifting, disc desiccation will be accelerated due to the daily strain on your back. Finally, losing a lot of weight at once can also dehydrate the discs, which activates the condition quite early on. For this reason, slimming down is best done sustainably and over an extended period of time. Disc desiccation happens when they start losing the fluid keeping them flexible. This leads to a general state of dehydration that produces back stiffness, tingling, weakness, and even pain in some cases. If the discs that are affected are situated more towards the lumbar region, then numbness might also appear in this area. In more advanced situations, the ache travels down the spine and into one or both legs. This leads to a change in terms of foot and knee reflexes that can affect your overall mobility. For this reason, you should seek medical treatment as soon as you notice one or more of these symptoms occurring. It’s best to tend to the problem while it is still fresh. Disc desiccation cannot be cured in the true sense of the word, as the discs remain dehydrated after the fluid is lost. However, there are plenty of things you can do to alleviate discomfort and improve your quality of life. Experts describe a total of seven methods, and your doctor will advise you on which one is the most suitable for you. Painkillers and relaxants are the most commonly prescribed treatment for disc desiccation. They help with pain relief and alleviate some of the tension experienced by your vertebrae. However, you should only take them if your physician prescribed them. If medication isn’t your cup of tea, then you might want to try physical therapy. Through a series of targeted exercises, you will strengthen the muscles surrounding the spine, thus offering your back much-needed additional support. A massage therapist applies varies techniques in order to take away the pressure imposed on the associated paravertebral muscles. This will help you relax, but you need to pursue the treatment continuously, or else the pain will come back. Chiropractic treatment is one step above getting a specialized massage. A chiropractor uses spine alignment methods to relieve the pain and pressure in your back. This also fixes your posture in the process, which is a great bonus for your overall musculoskeletal health. If you gain a lot of weight, disc desiccation can be easily triggered. All those extra pounds can add an unwanted amount of strain on your vertebrae, which means that a healthy diet and regular workouts can fix some of the damage. When the symptoms of disc desiccation become too extreme for regular medication or therapy, your doctor might recommend an epidural injection with corticosteroids. The needle is introduced via X-ray guidance in the epidural space by a back surgeon, and it is similar to that received by pregnant women in labor. When nothing can alleviate the aching, surgery comes as a last resort. However, this is rarely the case. As long as the problem is identified early on, easy pain relief will still be possible. Disc desiccation comes as a consequence of degenerative disc disease, and it is a normal part of advancing in age. However, it can result in quite unpleasant symptoms, which means that seeking treatment is always a good idea. As long as you don’t postpone doing that, you are bound to find pain relief and increase the quality of your life.